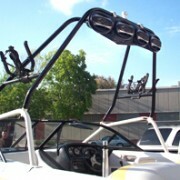 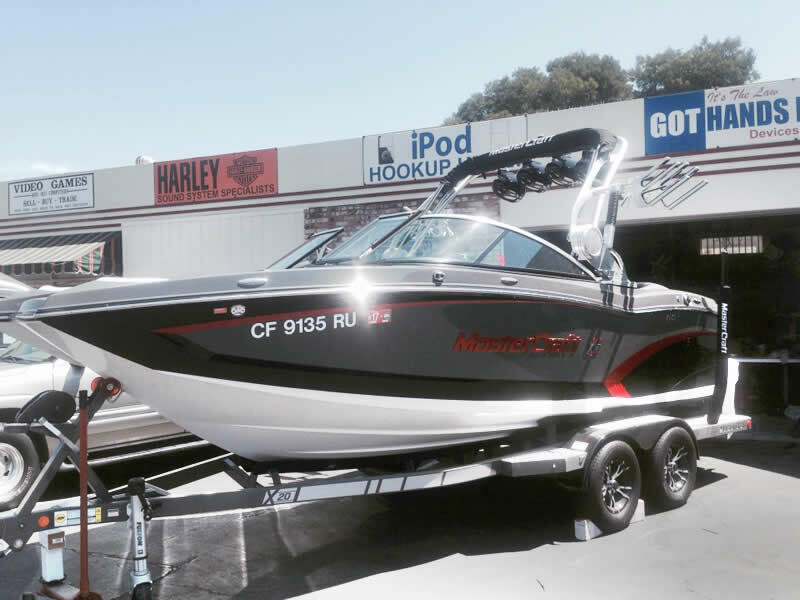 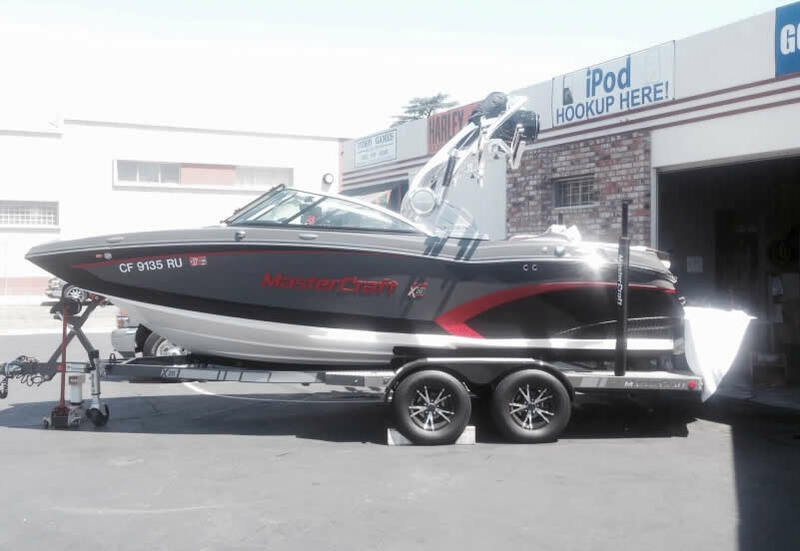 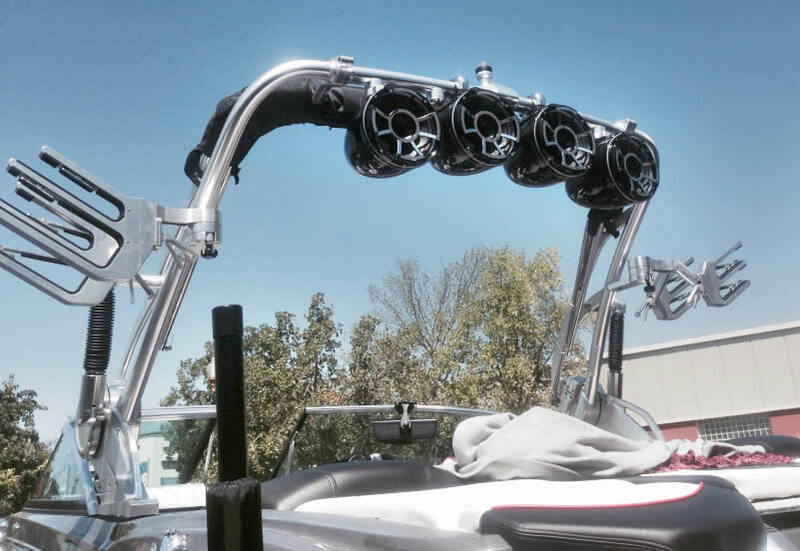 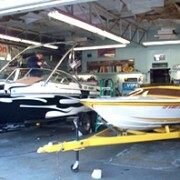 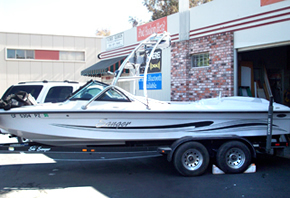 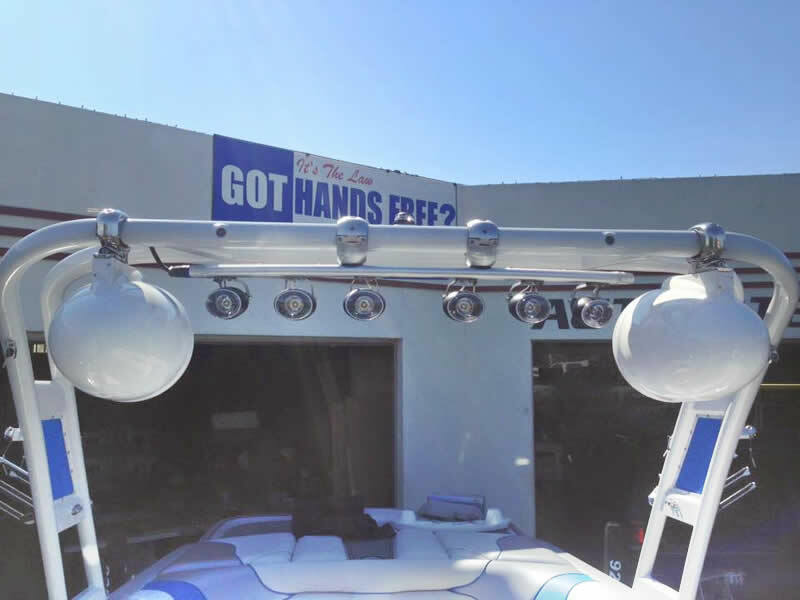 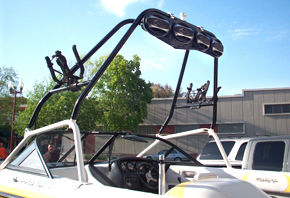 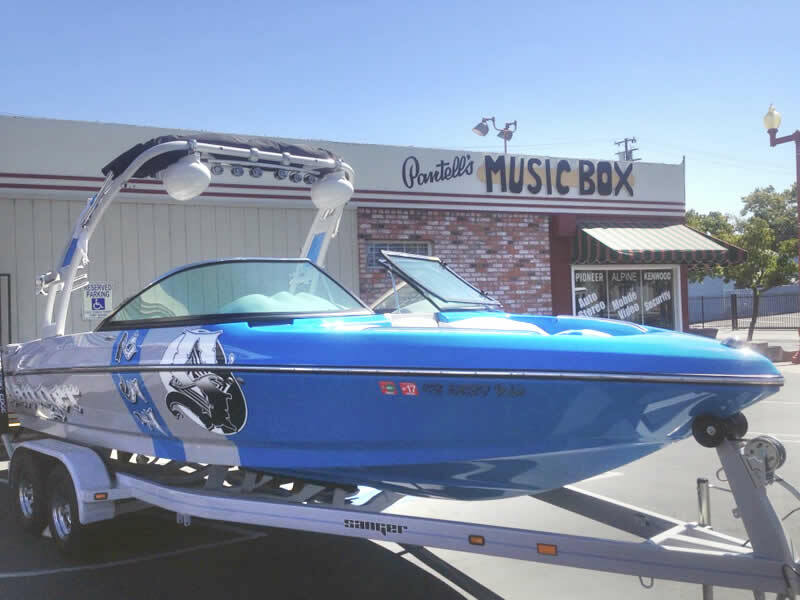 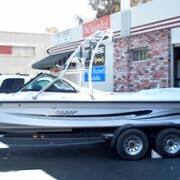 Situated at the foot of the California Delta, Pantell’s has sold and installed boat systems almost as long as we have been doing car audio. 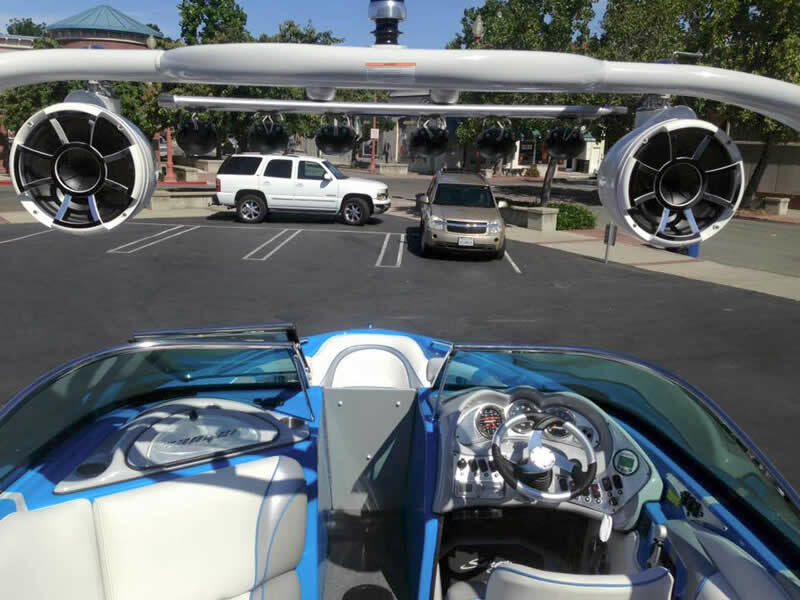 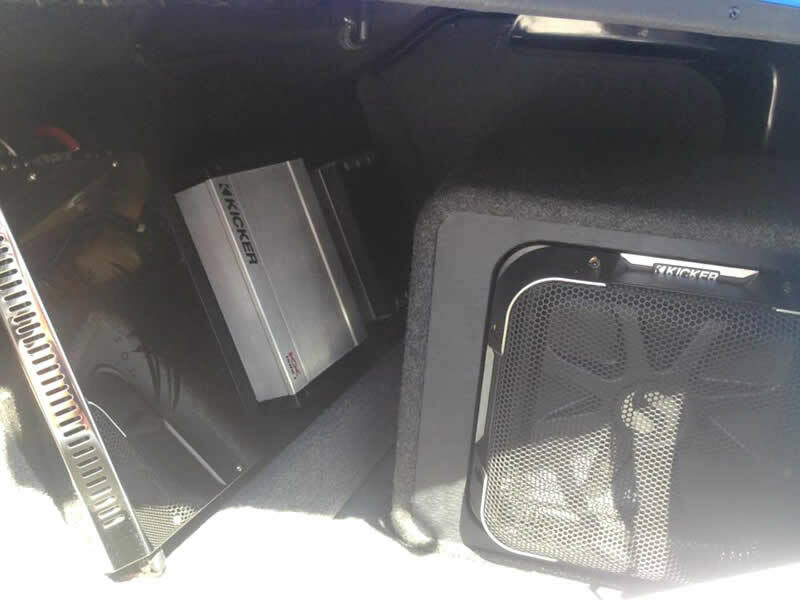 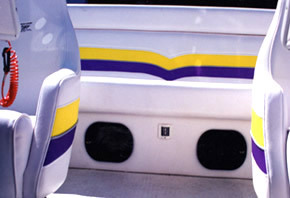 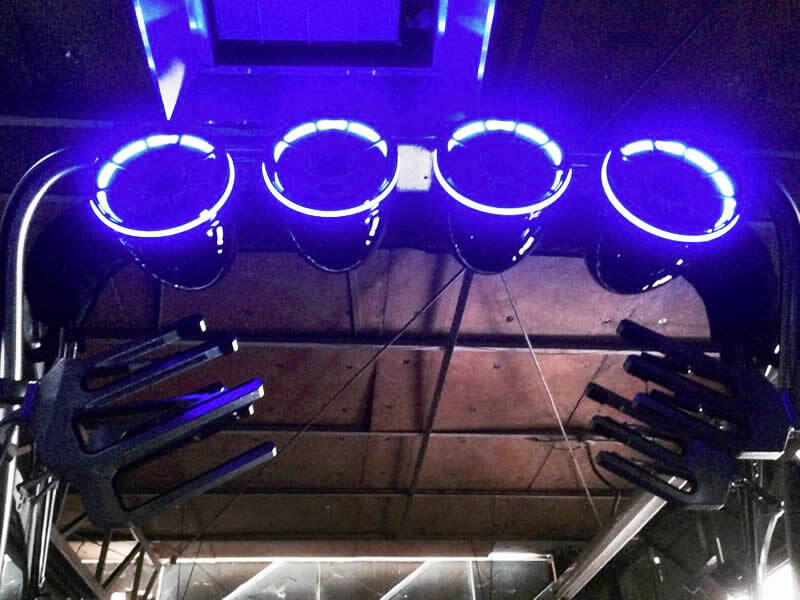 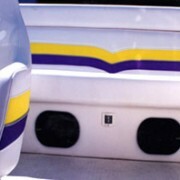 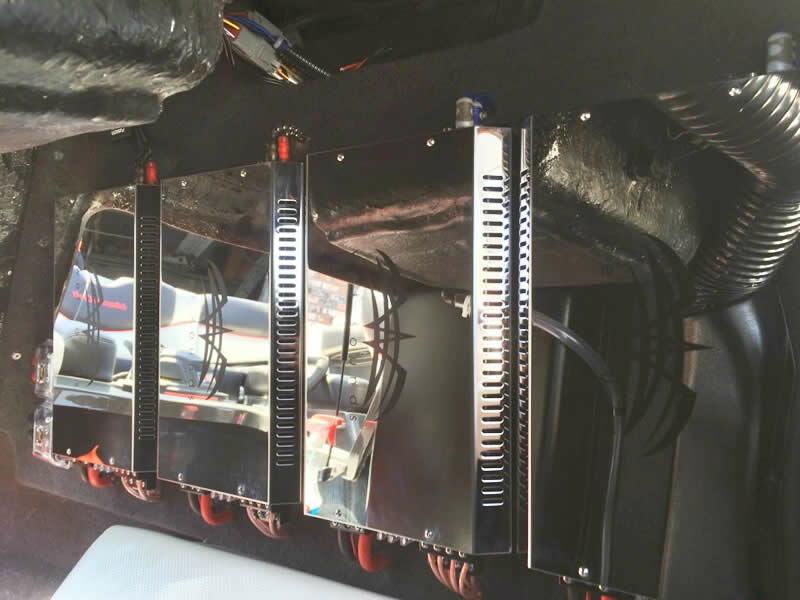 We feature a variety of Marine head units, amps, speakers, tower speaker boxes and wired or wireless controls for sound system control anywhere in your boat. 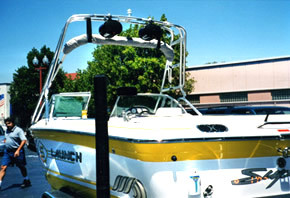 Smart phone/iPod integration, Satellite radio as well as satellite television are other common products we sell for boats. 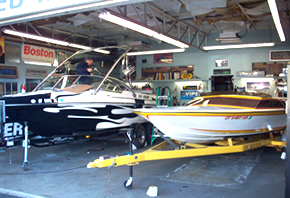 With ski boats as our main focus, we also have installed complete systems in 42’ plus offshore racers as well as 55’ day cruisers. 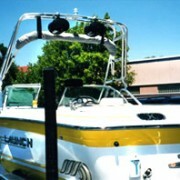 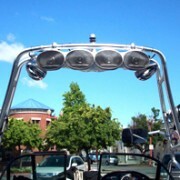 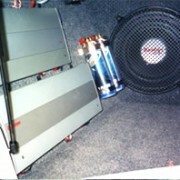 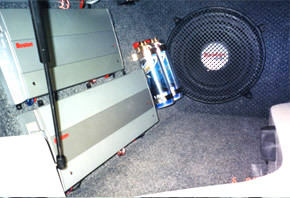 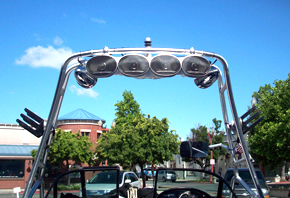 We are the areas largest Wet Sound dealer!